In the autumn of 1891, Cross moved to Saint-Clair on the French Mediterranean coast, where he was to produce a large part of his oeuvre. That same year he became a convert to neo-Impressionism, which he had absorbed from his friends Seurat and Signac. In his Pointillist-type paintings he used tones that were pure but soft, mixed with white, as a means of expressing the discoloration that occurs under the harsh light of the Midi. Gradually, he began to develop his own personal style within the shared approach of Divisionism. According to Signac, Cross was tormented by the conflict arising between the problems of naturalism and the freedom of the imagination: "Cross's struggle with nature was terrible: at each brushstroke, fighting with all his will against his early training, he gave out a cry of pain, as if he were carrying a heavy load. Often he was defeated in this struggle; and yet when he was alone in front of his easel, in full creative fervour, he would triumph, as can be seen from his late works, the freedom and splendour of which have never been bettered." Indeed, from 1903 onwards Cross's landscapes of the coast of Provence use less realistic colouring and are inhabited by mythological creatures such as nymphs and fauns. The painting shown here (Beach, Evening Effect), painted in the summer of 1902 close to Saint-Clair, is still in an intermediate stage between his loyalty to nature and his ultimate decorative fantasy. The figures-the nudes that so often occur in Cross's paintings-here appear frankly diminished by the presence of a large tree that dominates the composition. 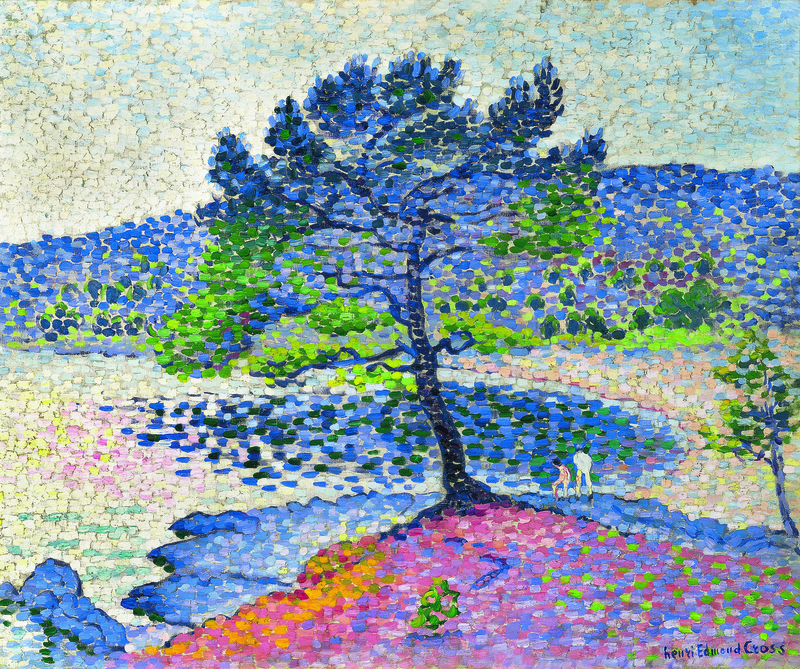 Pines against the landscape are common motifs in Cross's work, although by no means exclusive to his work: Cézanne used a solitary pine as a key element in at least two paintings, and Signac used this motif repeatedly, albeit with the pines of the bay of Saint-Tropez. 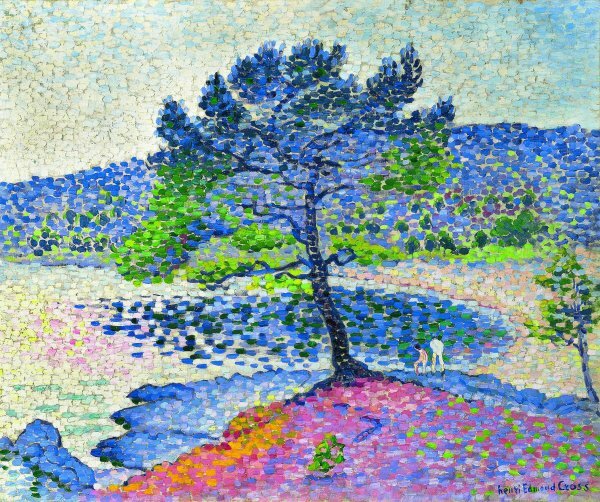 Pines appear again in Matisse, in his preliminary studies for Luxe, calme et volupté, for example, those painted on the Saint-Tropez coast in the summer of 1904 in the company of Signac and Cross, and indeed under their direct influence.